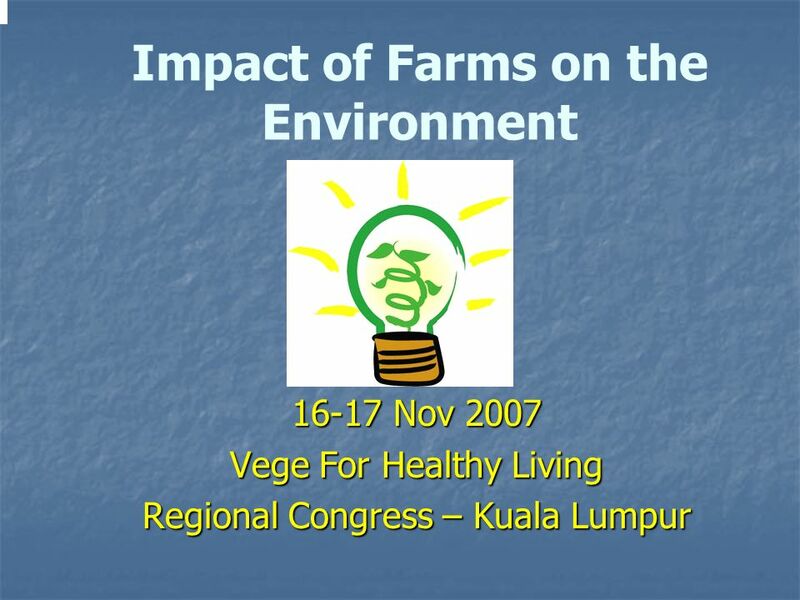 16-17 Nov 2007 Vege For Healthy Living Regional Congress – Kuala Lumpur Impact of Farms on the Environment. 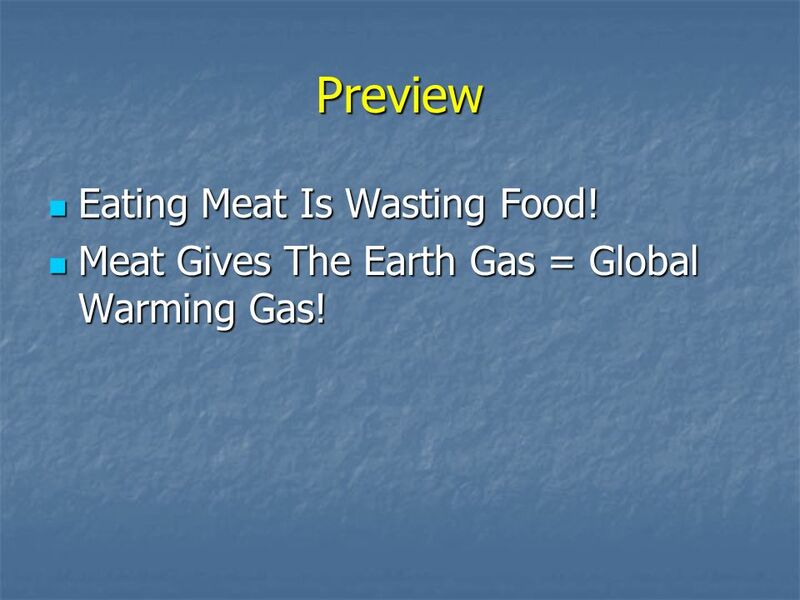 3 Preview Eating Meat Is Wasting Food! 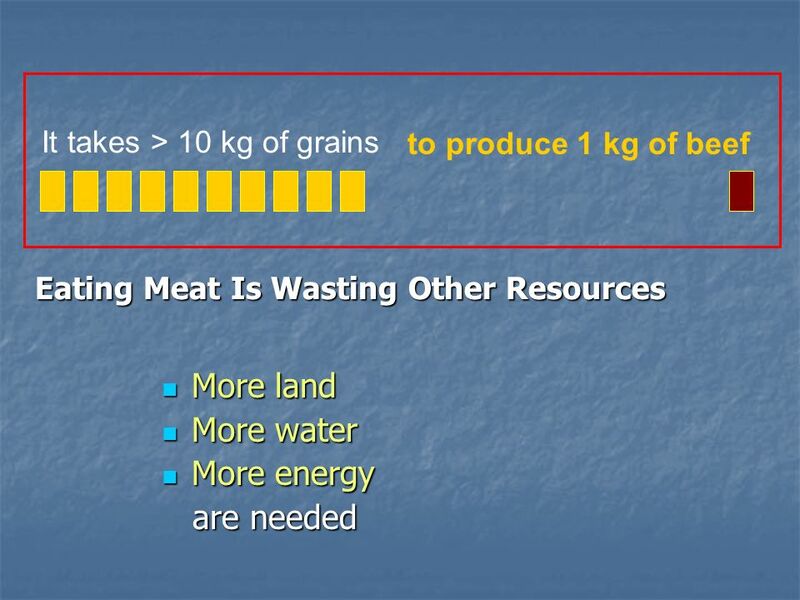 Eating Meat Is Wasting Food! 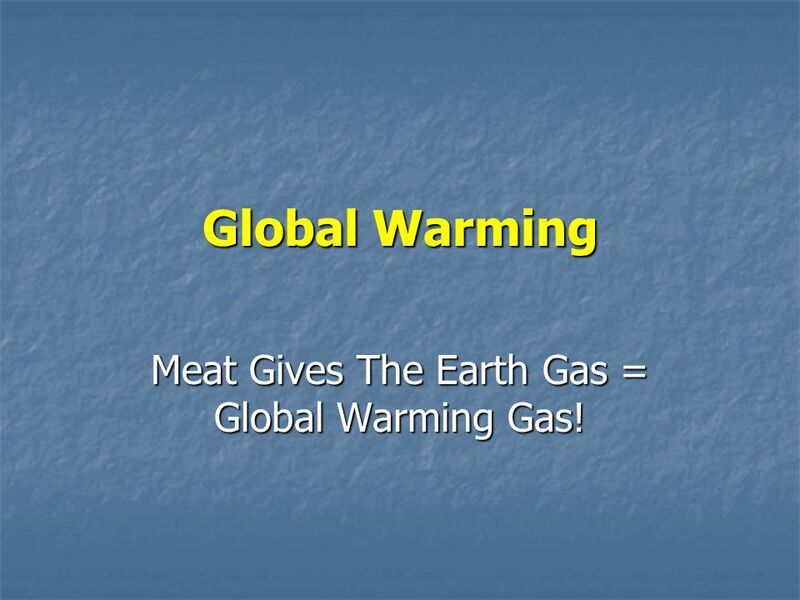 Meat Gives The Earth Gas = Global Warming Gas! 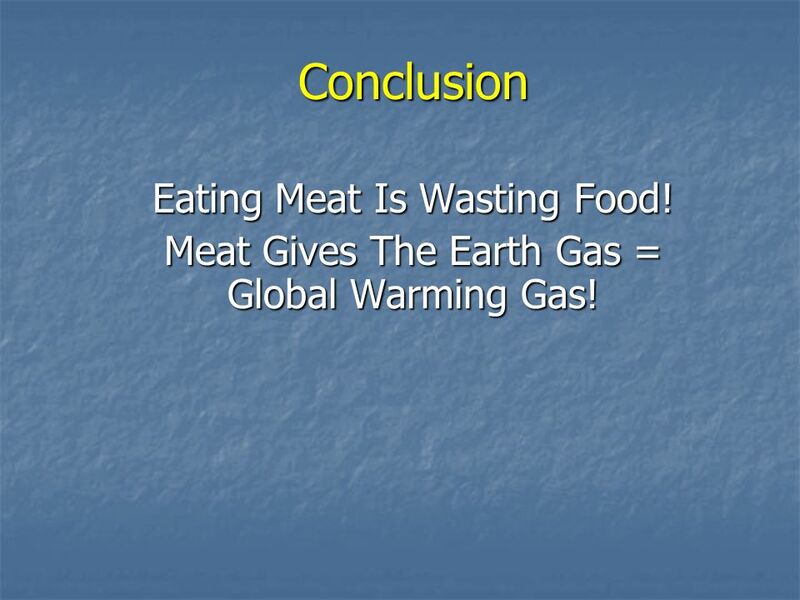 Meat Gives The Earth Gas = Global Warming Gas! 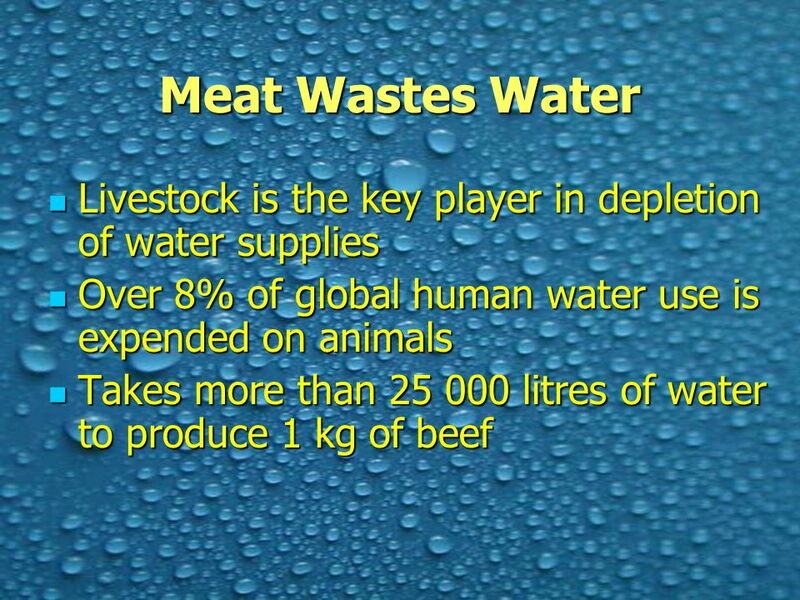 4 1 st Key Point – Eating Meat Is Wasting Food! 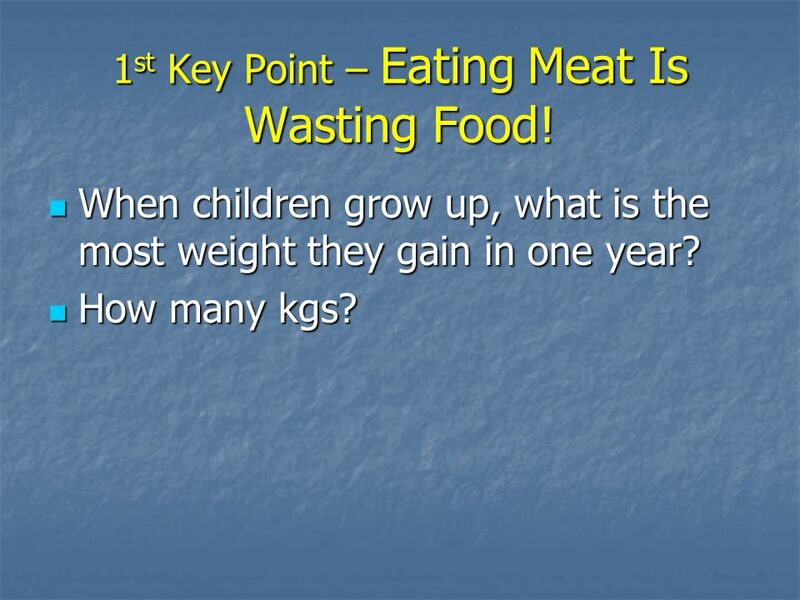 When children grow up, what is the most weight they gain in one year? 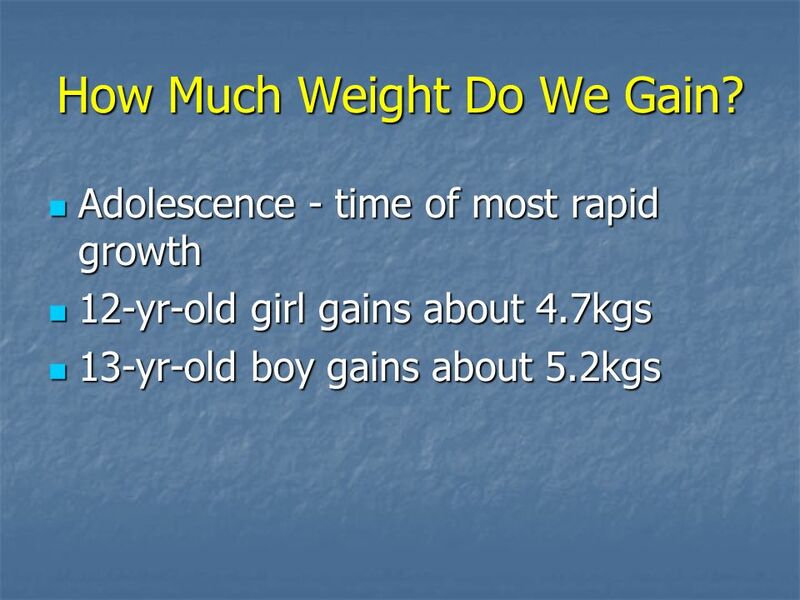 When children grow up, what is the most weight they gain in one year? How many kgs? How many kgs? 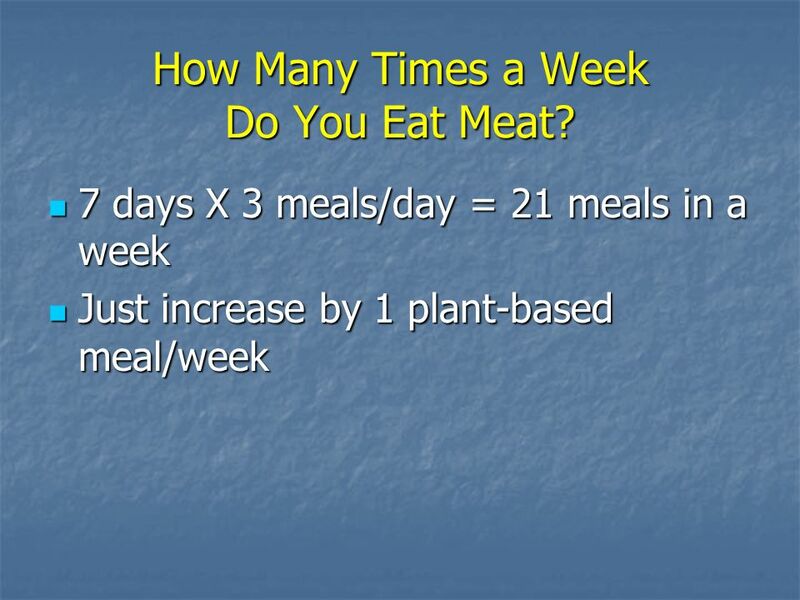 6 How Much Do We Eat? 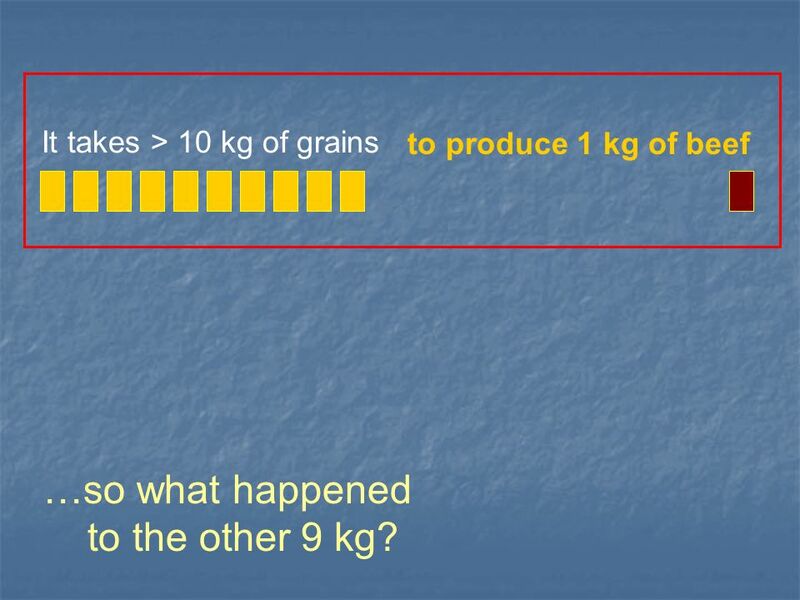 How many kgs of food do adolescents eat in a year? 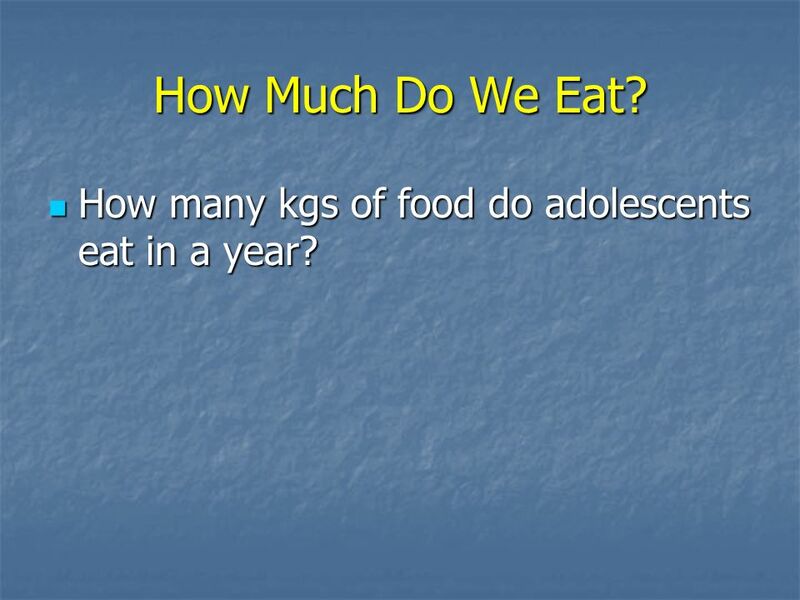 How many kgs of food do adolescents eat in a year? 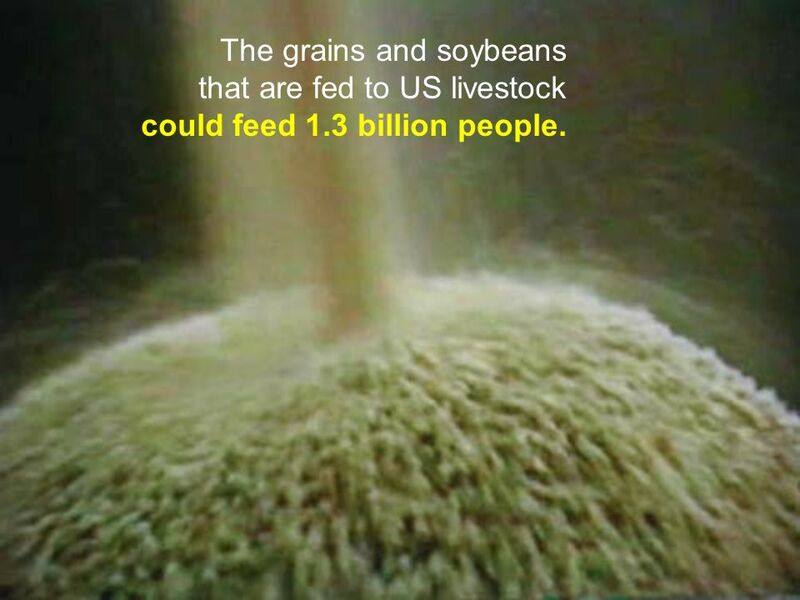 8 The grains and soybeans that are fed to US livestock could feed 1.3 billion people. 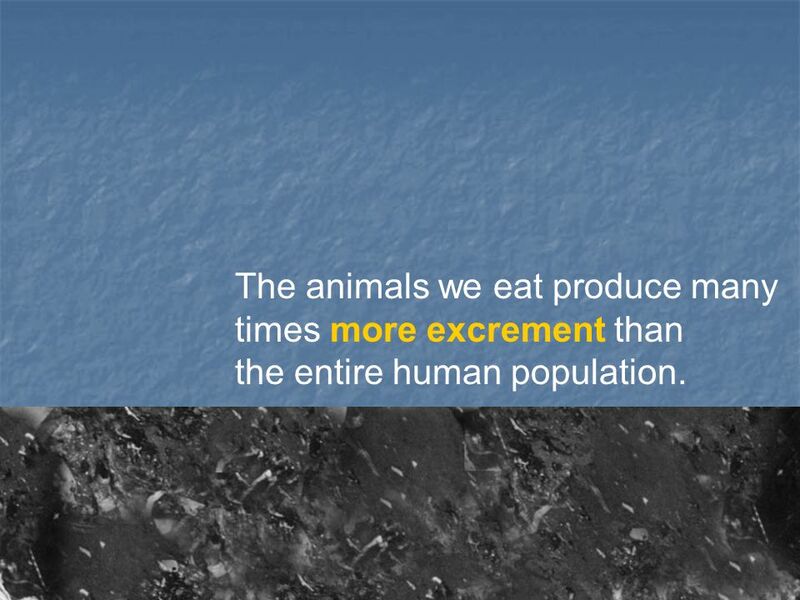 12 The animals we eat produce many times more excrement than the entire human population. 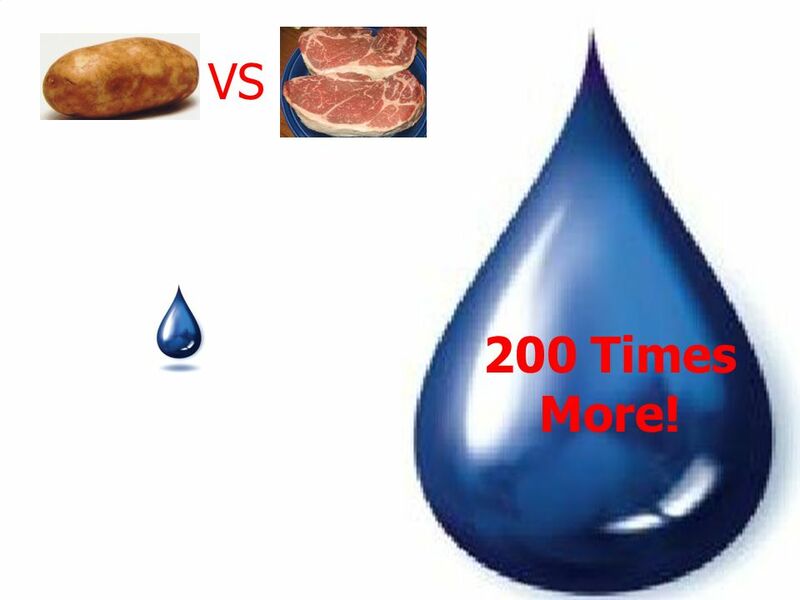 15 VS 200 Times More! 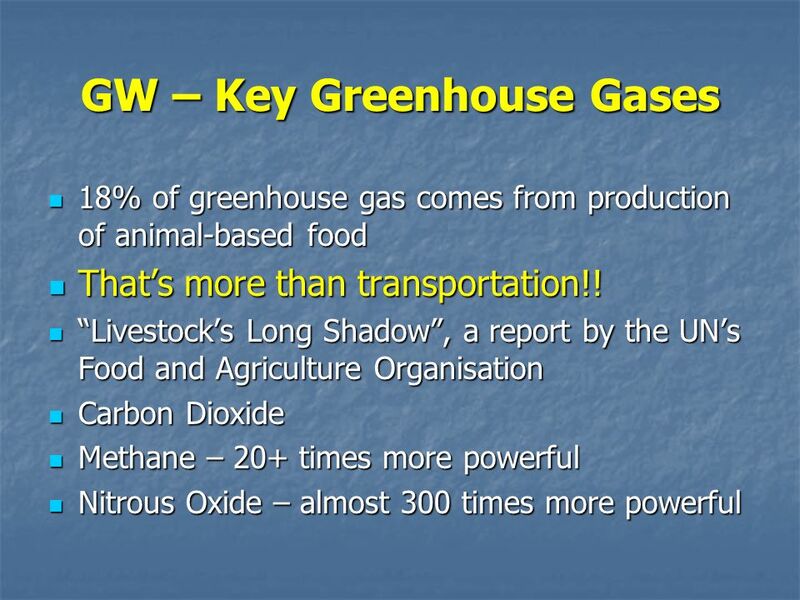 20 Global Warming Meat Gives The Earth Gas = Global Warming Gas! 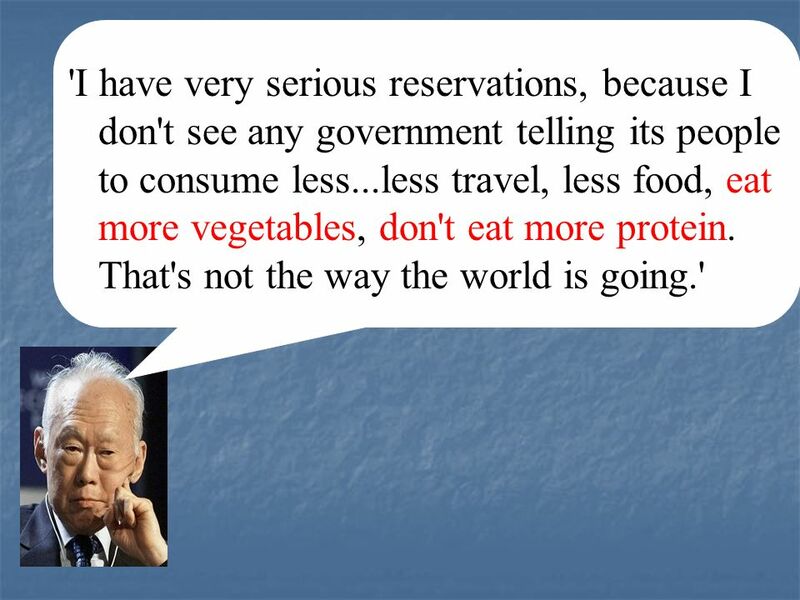 22 Lee Kuan Yew Headline: Green future: Why MM is not optimistic (August, 2007) Byline: Lynn Lee A PESSIMISTIC Minister Mentor Lee Kuan Yew said he could not predict what would impact regional growth in 50 years given the damage now taking place to the global environment. 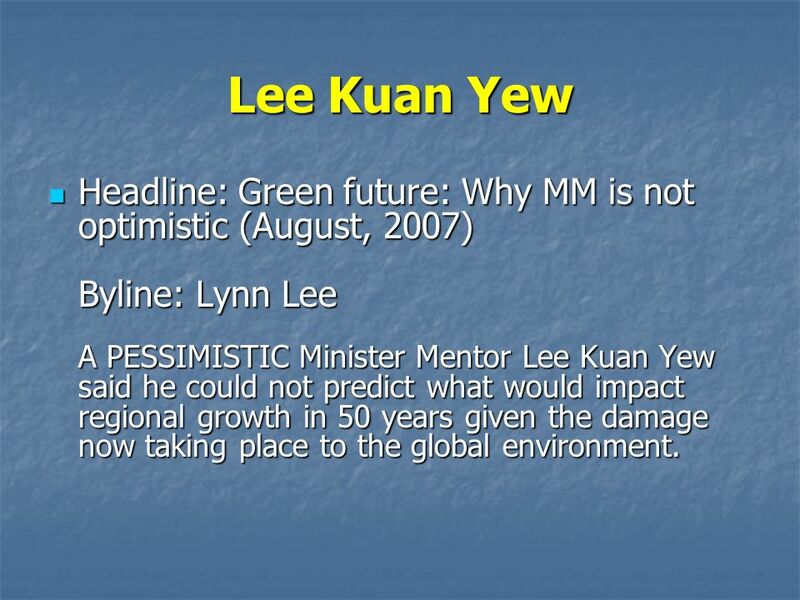 Headline: Green future: Why MM is not optimistic (August, 2007) Byline: Lynn Lee A PESSIMISTIC Minister Mentor Lee Kuan Yew said he could not predict what would impact regional growth in 50 years given the damage now taking place to the global environment. 23 Global warming is one big enormous problem that we end up with,' he said, pointing to out-of-whack weather patterns that have spawned droughts, hurricanes and typhoons, and led to glaciers melting. 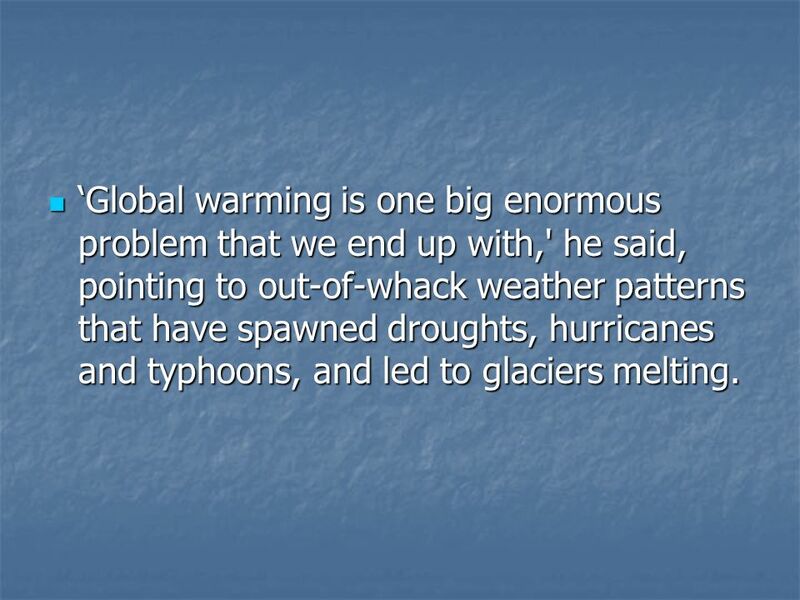 Global warming is one big enormous problem that we end up with,' he said, pointing to out-of-whack weather patterns that have spawned droughts, hurricanes and typhoons, and led to glaciers melting. 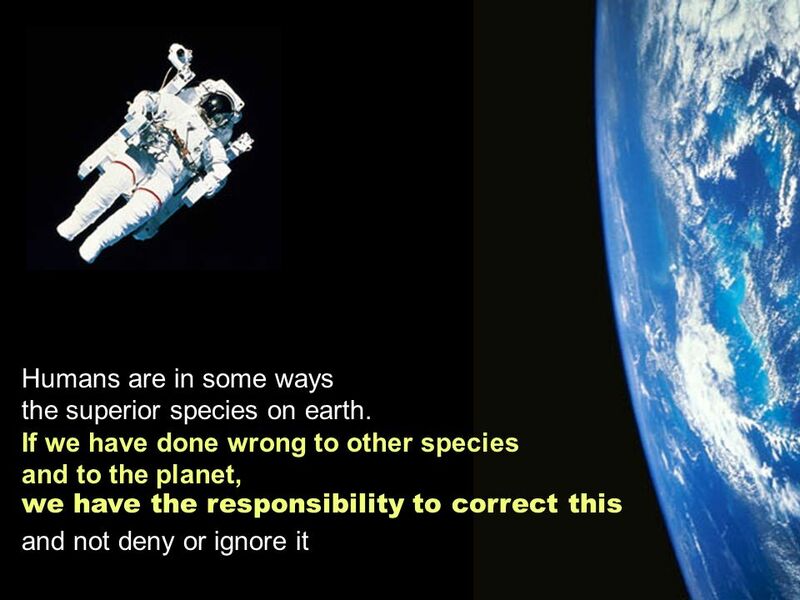 24 He asked: 'Will we have the wisdom and ability to prevent this degradation of the environment? 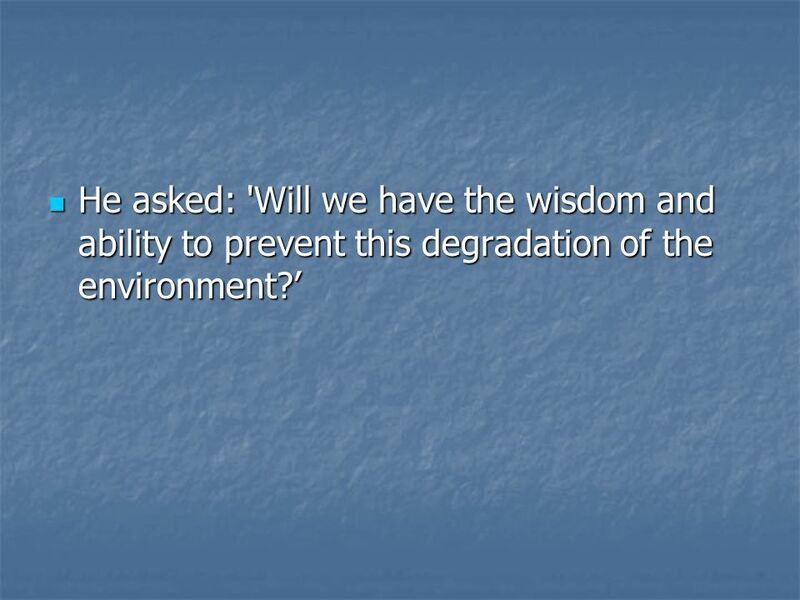 He asked: 'Will we have the wisdom and ability to prevent this degradation of the environment? 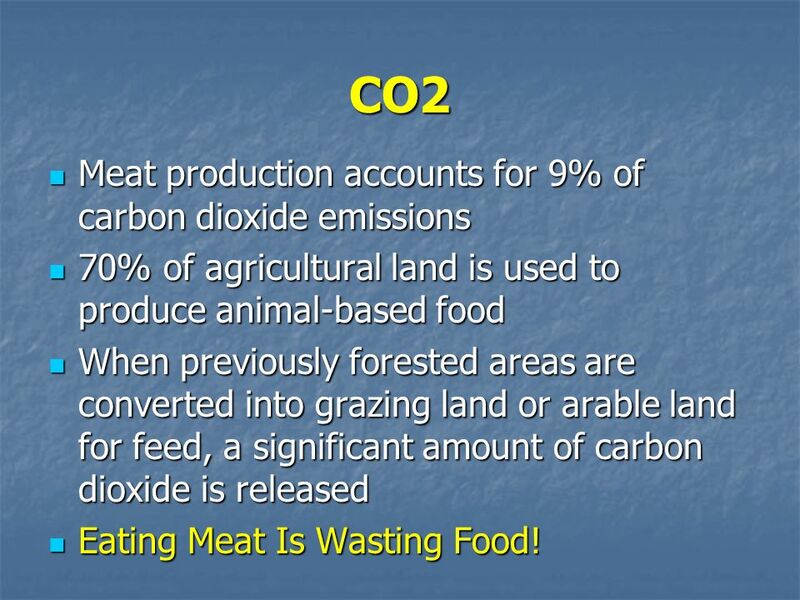 27 CO2 Meat production accounts for 9% of carbon dioxide emissions Meat production accounts for 9% of carbon dioxide emissions 70% of agricultural land is used to produce animal-based food 70% of agricultural land is used to produce animal-based food When previously forested areas are converted into grazing land or arable land for feed, a significant amount of carbon dioxide is released When previously forested areas are converted into grazing land or arable land for feed, a significant amount of carbon dioxide is released Eating Meat Is Wasting Food! 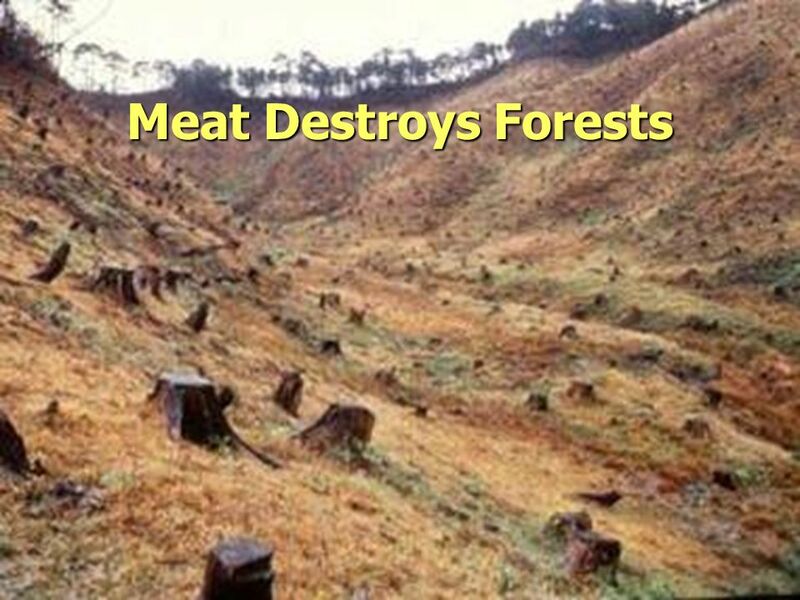 Eating Meat Is Wasting Food! 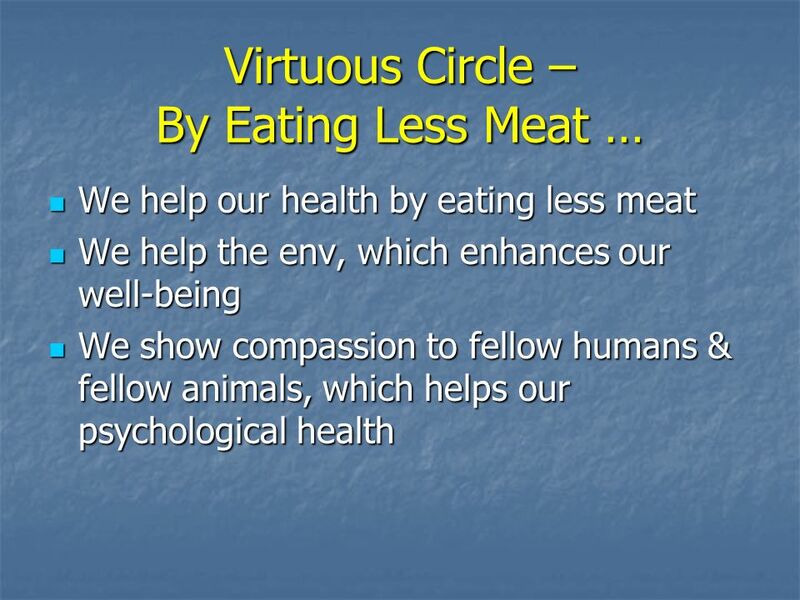 31 Conclusion Eating Meat Is Wasting Food! 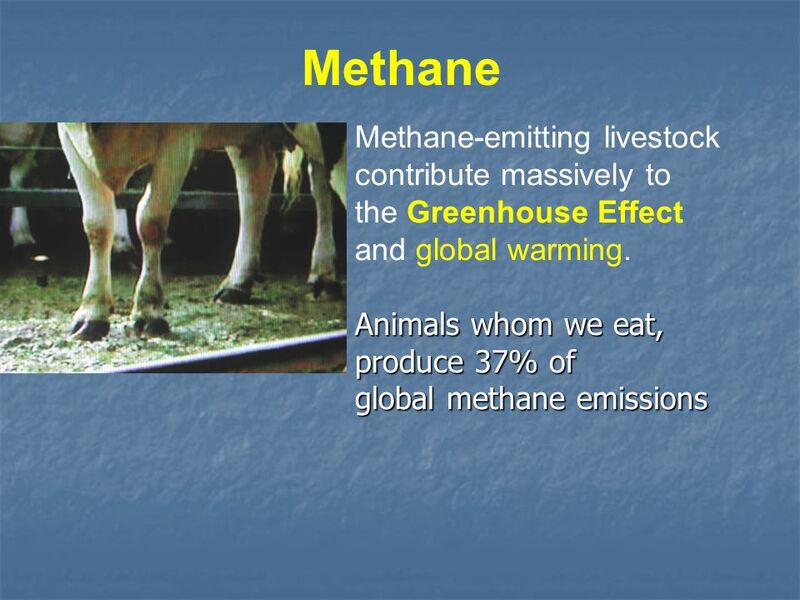 Meat Gives The Earth Gas = Global Warming Gas! 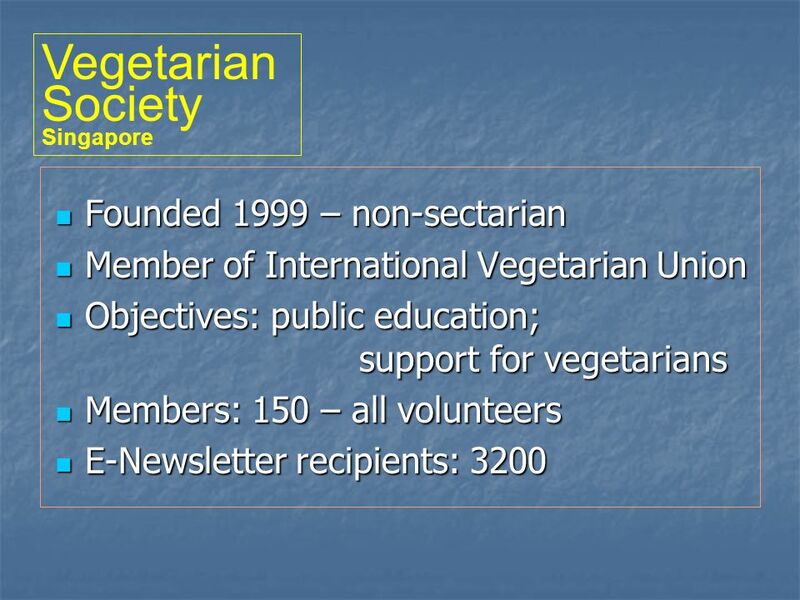 Download ppt "16-17 Nov 2007 Vege For Healthy Living Regional Congress – Kuala Lumpur Impact of Farms on the Environment." 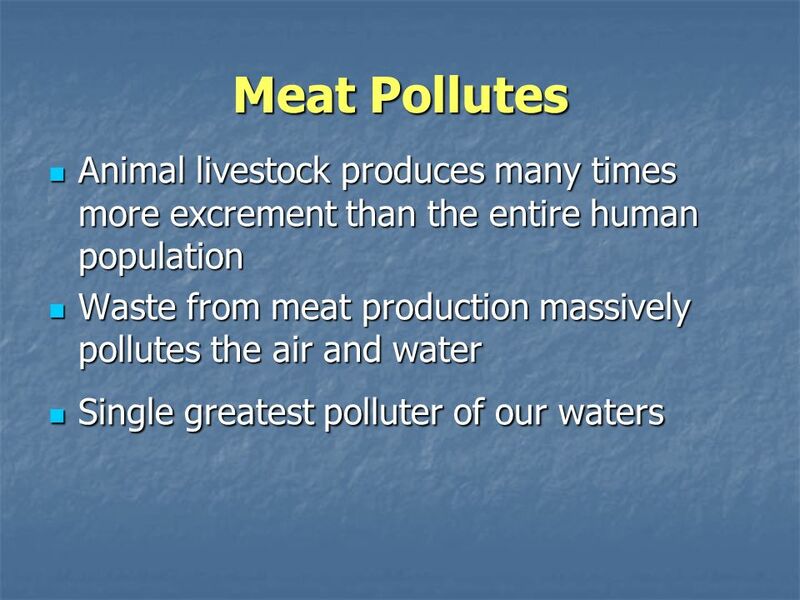 "Livestock are one of the most significant contributors to today's most serious environmental problems. Urgent action is required to remedy the situation. 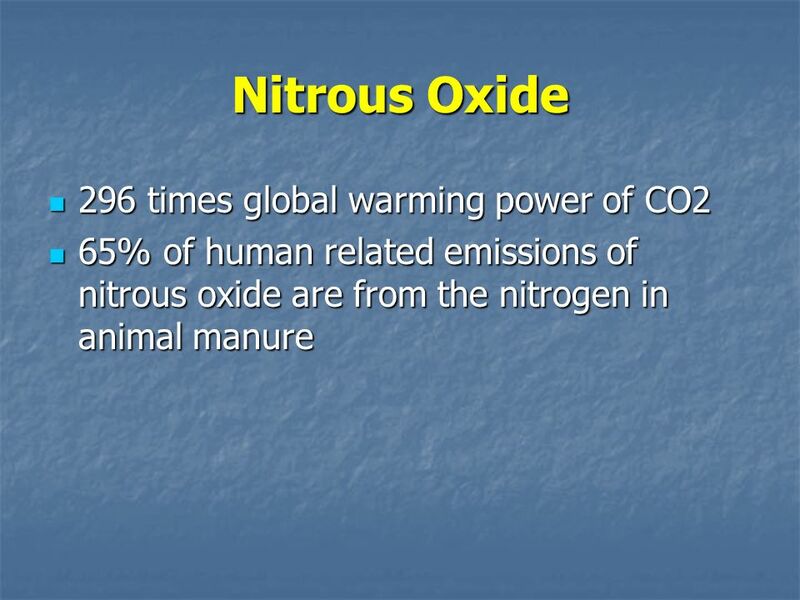 The Anthropogenic Greenhouse Effect. 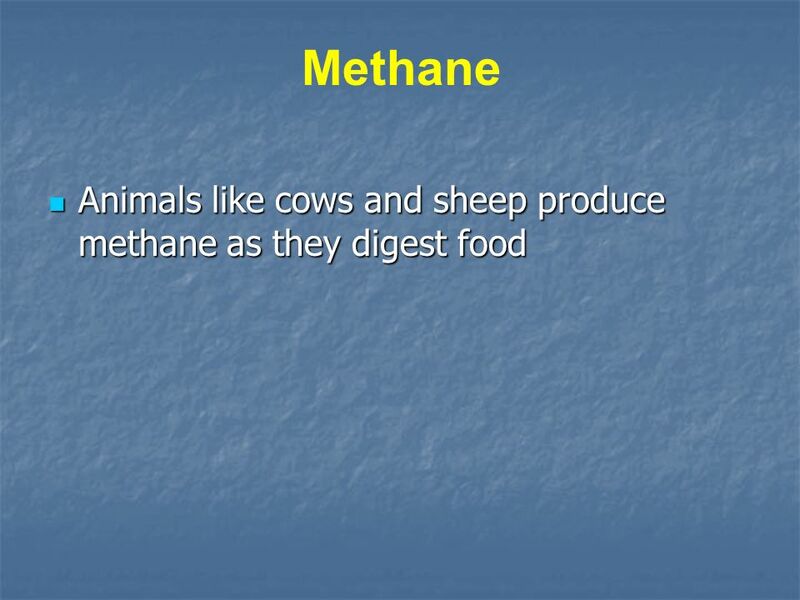 Anthropogenic: resulting from a human influence Increase of GH gases through human sources is causing an enhanced. 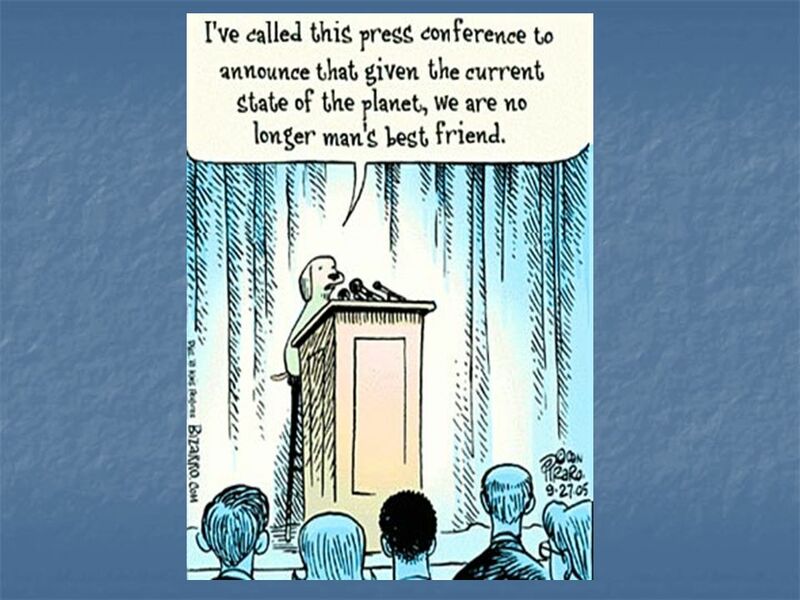 Today our planet is not very well. Something simple… That everybody can do… That has a great impact We often ask ourselves what we can do about it? 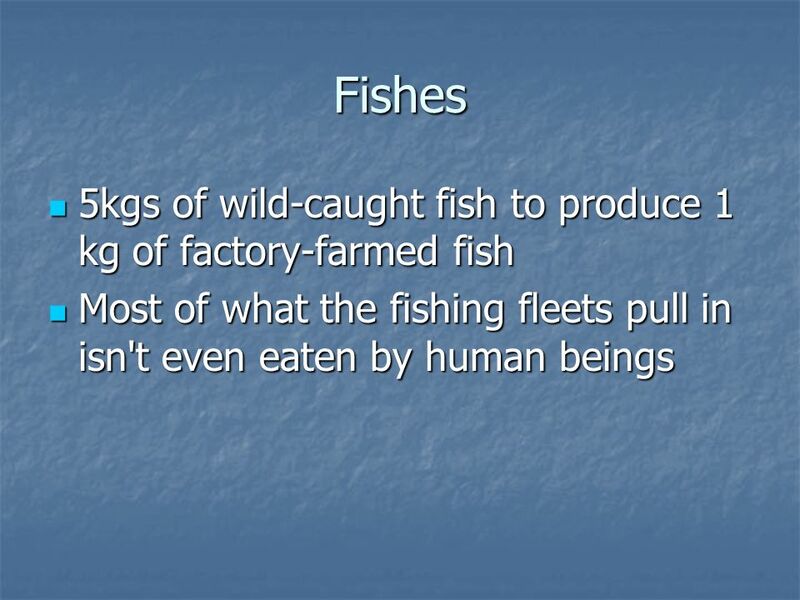 The Effect of Humans On Ecosystems and Biological Cycles On Ecosystems and Biological Cycles. 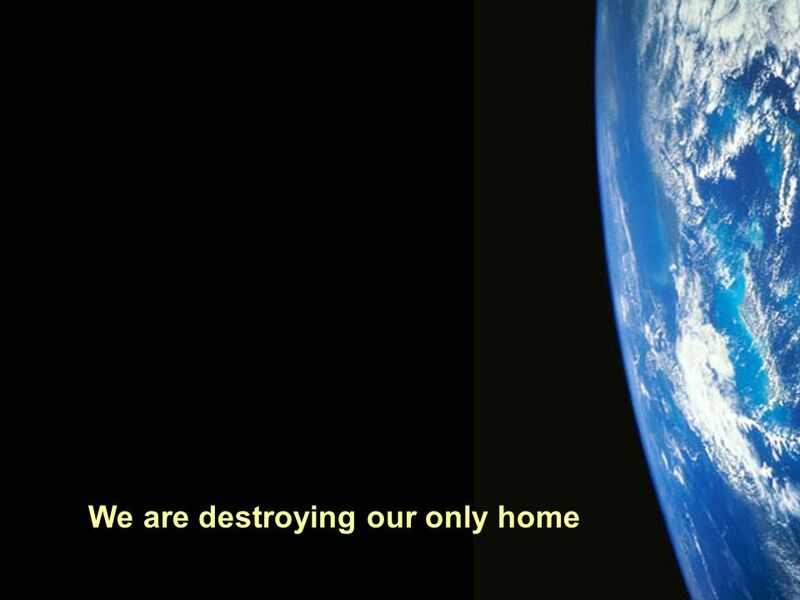 1 IPCC R K Pachauri Chairman, IPCC Director-General, TERI London 8 th September 2008 Global Warning! 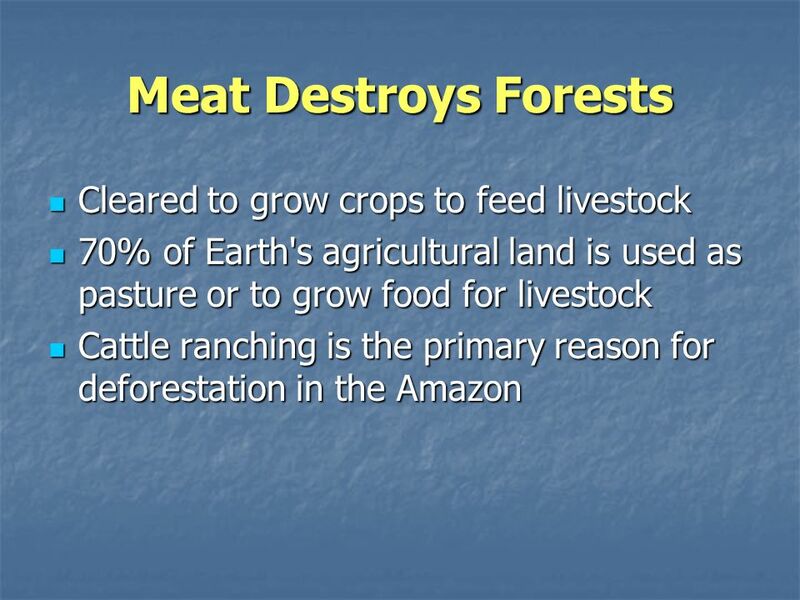 The Impact of Meat Production and Consumption on Climate. 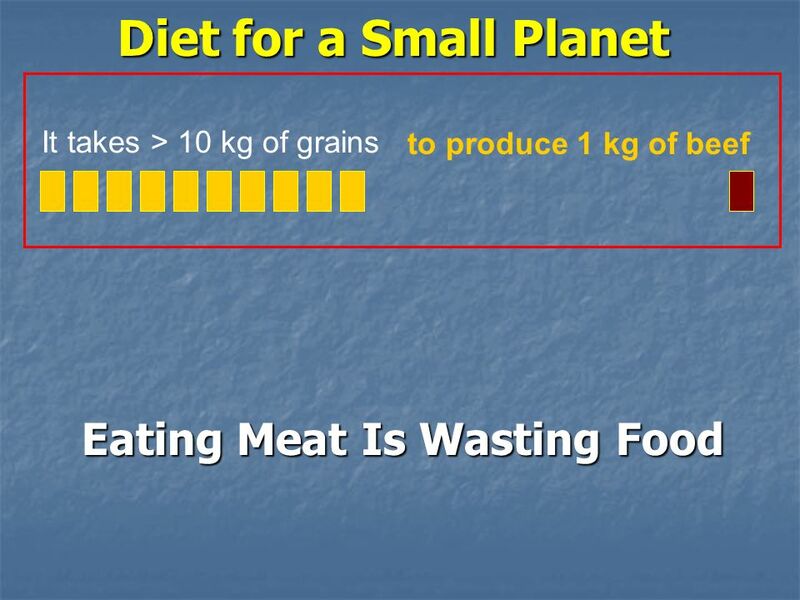  Plant-Base Diet The cheapest, fastest, easiest way to rapid planetary cooling Be Veg so we have time to Go Green and Save the Planet Supreme Master Ching. 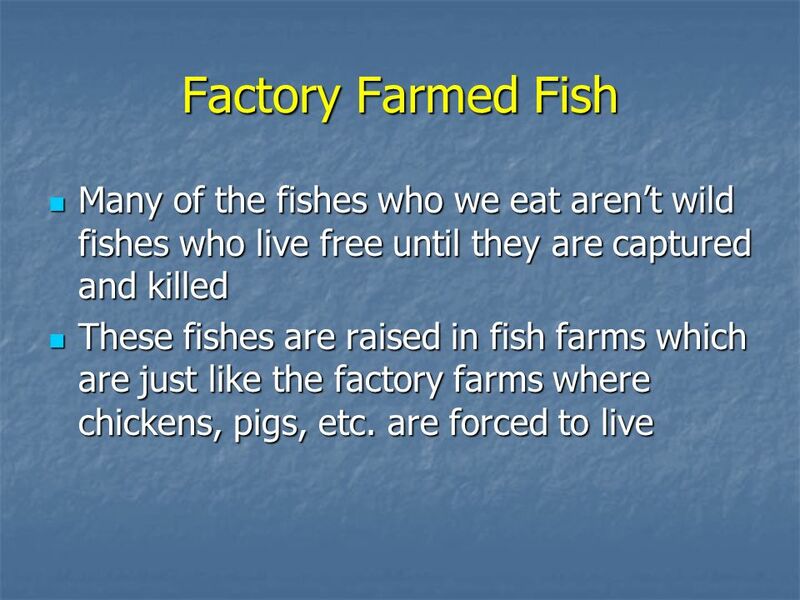 The Cost of Consumption: Pollution of the Livestock Industry Clemente Velasco-Annis University of Massachusetts, Amherst. 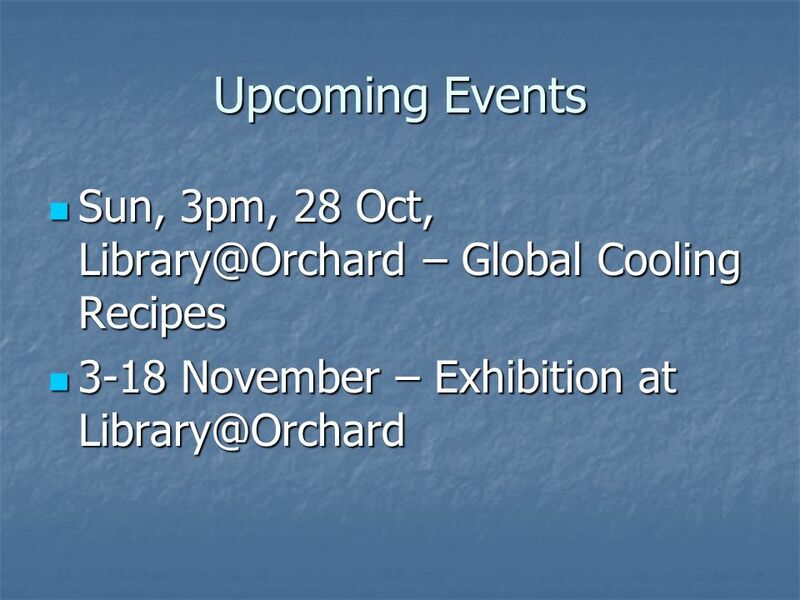 Climate Change What do you know? and what are you going to do about it? 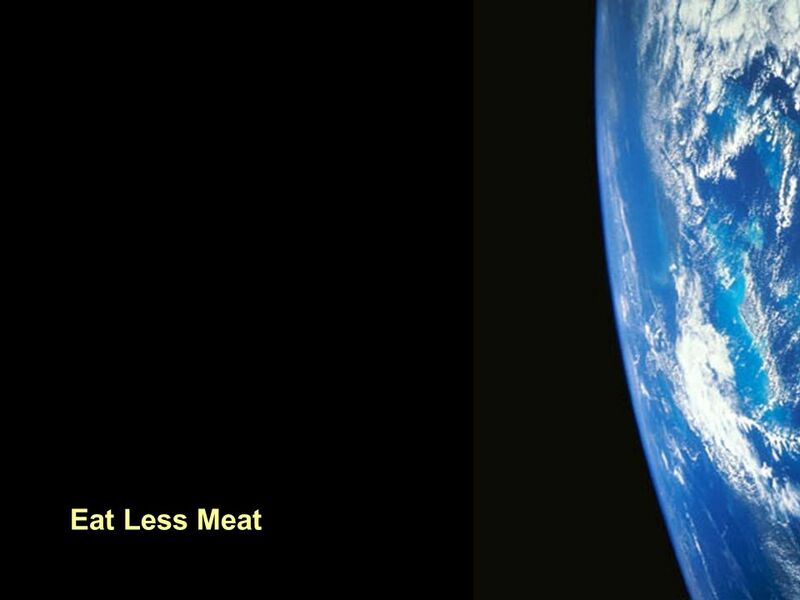 1 IPCC R K Pachauri Chairman, IPCC Director-General, TERI Gent 30 th August 2008 Less Meat, Less Heat: Impacts of livestock on climate change. Hiba T. 4/14/2011 9G2 Br.Nassry. 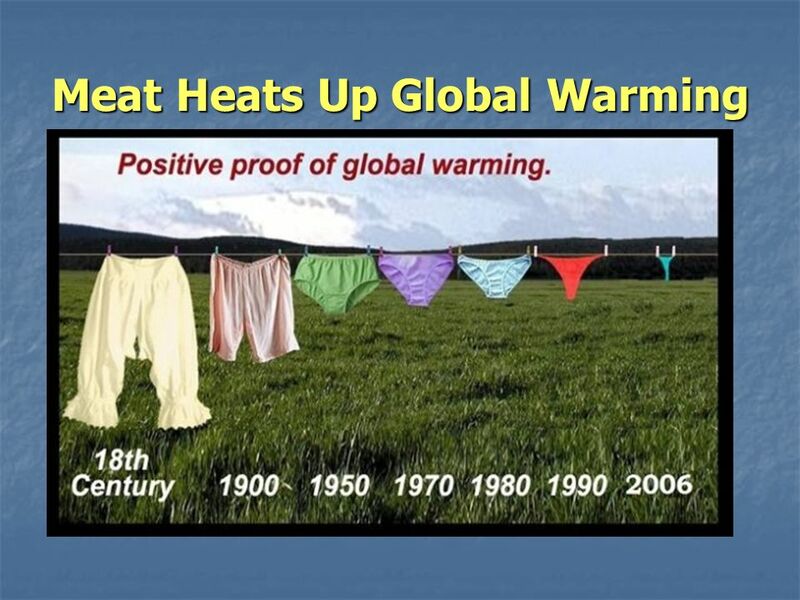 Describe Global Warming  The sun is emitting heat rays that is absorbed by the green house gas molecules once it reflects. 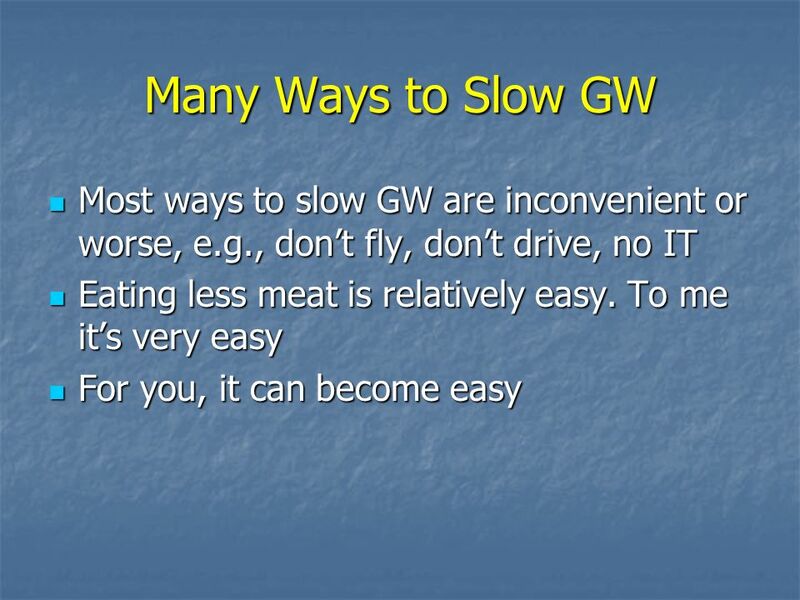 What are some ways to prevent global warming? 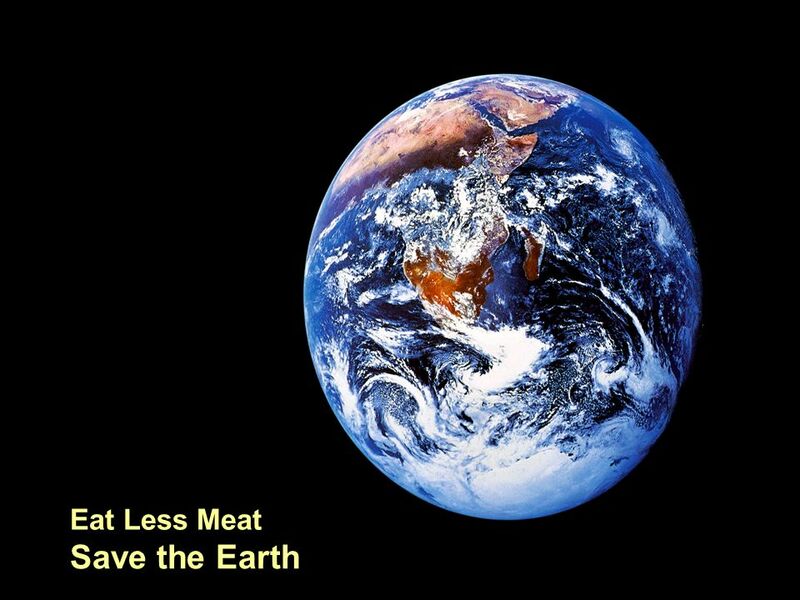 I will share with you many easy things that you can do daily, that you can do to save the Earth!